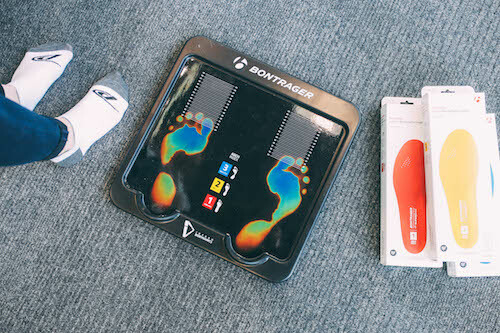 When Trek/Bontrager asked Axis Display Group to develop a simple tool for helping cyclists identify and select proper insoles, naturally our gears started turning. As cyclists ourselves, a few on the AXIS team understood exactly why proper foot support is essential for optimal on-bike comfort and performance. 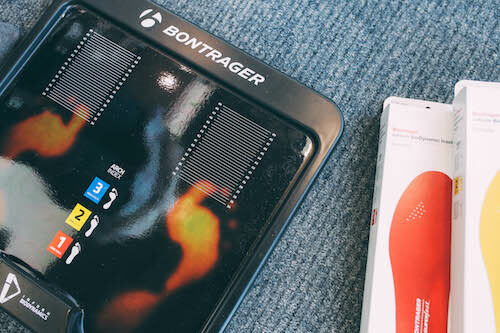 Bontrager designed the inForm BioDynamic Insoles exactly for this reason, and Trek retailers needed a way to precisely measure shoppers’ arch shape so associates could match them to the perfectly-sized insole. AXIS developed the “Insole Sizer” - a portable, hands-free, measuring tool. 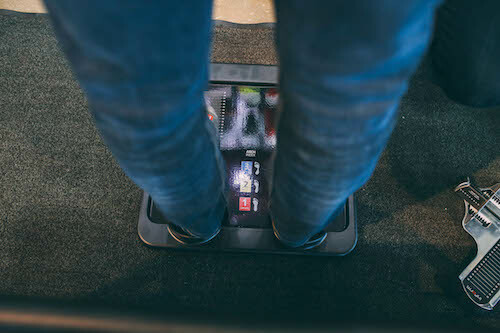 The Insole Sizer activates once an individual steps onto it. Heat sensitive material maps out the shopper’s foot size and arch shape. Once the individual steps off, an imprint of the foot remains, allowing shoppers to determine their arch type and foot size. Color coded graphics guide the shopper to match their color to the corresponding packaging on the inForm BioDynamic Insole. 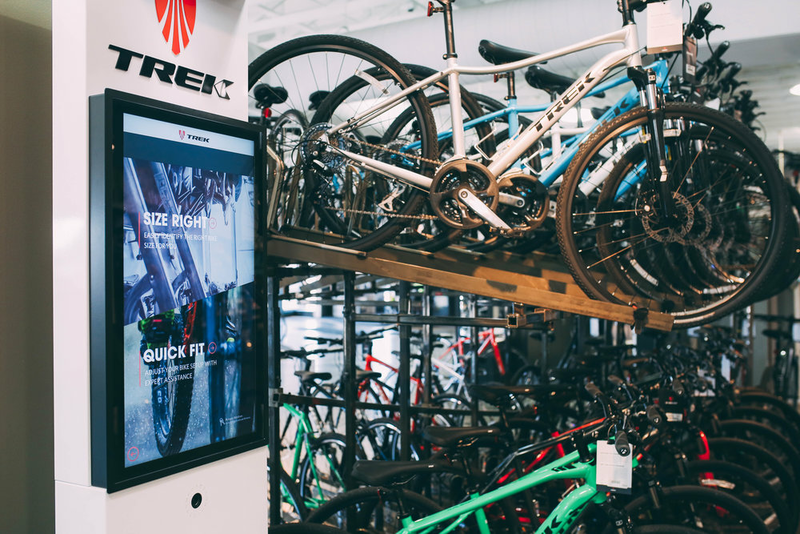 Due to Trek’s greatly varying retail locations, Axis Display Group had to account for a wide temperature range when capturing heat imprint. The tool was tested to ensure proper activation of the thermochromic material, no matter the ambient store temperature. Associates can remain hands free, while being assured the measurement is as accurate as if they were doing it themselves. Current production = 1,000+ units.